Sanyas Proved That Being Blind Is Not An Excuse & Cracked OCS In His First Attempt. 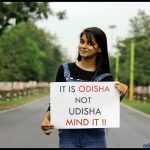 Being ODIA Is The New Trend! Being blind was never an excuse for this man. He has set an example by cracking OCS in his first and only attempt he got. Sanyas Behera, a 42-year-old blind man from Bhubaneswar is the talk of the internet after he cracked the Odisha Civil Service (OCS) 2015 examinations, the premier entrance for recruitment into OAS, state’s top administrative cadre. Braving all odds, Sanyas finally came out as a winner by clearing the examinations in his very first and last attempt. Hailing from a poor family, Sanyas who resides with his daughter and a son in a single room in the capital city, had appealed the State Administrative Tribunal (SAT), High Court and Odisha Public Service Commission (OPSC) to allow him to sit for the examinations. His appeal partially succeeded after the Commission allowed partial blind candidates to appear in the examinations in 2015. But it was of no avail to Sanyas as he was deprived of this opportunity since he was completely blind. But he never gave up and sat on dharna and defied OPSC rule document which he tore apart in front of the office of the Commission. His struggle finally ended in his favour after the Commission allowed him to sit for the Odisha Civil Services Examination in 2015. The Civil Society organisations have given him a lot of encouragement and he expressed his profound gratitude to those who had helped him. Speaking on Sanyas’s incredible achievement, his wife and daughter are also no less happy than he himself. He used to plug in earphone and memorize chapters after his family sleeps. After lot of hard work finally he achieved something so great that it will encourage other visually impaired people in many ways. Odisha Shines salutes to the courage and faith of Sanyas that he always had with him without doubting himself for a single moment. He’s Worlds “Worst Student” In The Best Way!